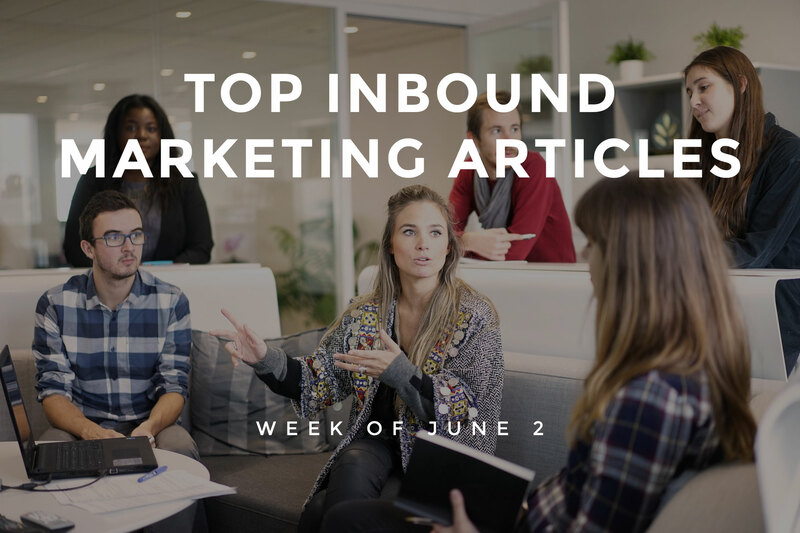 As usual, there’s a lot going on this week in the inbound marketing world. Instagram’s advertising solution is now open to all advertisers and will expand to 30 new countries by the end of September. We’re all still digesting the Moz Search Engine Ranking Factors survey results, and trying to figure out how exactly the slow rollout of Panda 4.2 and indexing of Tweets is affecting businesses. We’ve covered all of this news and much more, below. This week, Neil Patel wrote about the effectiveness of visual content for building links. With just four straightforward steps, he’ll have you putting together compelling and shareable content to leverage for quality links. The extended rollout of Panda 4.2 has many in the SEO business watching closely for fluctuations in traffic. At G-Squared Interactive, Glenn Gabe tries to unravel the true impact of the update seven weeks in. What’s the final say on social signals and SEO? Dario Zadro at Search Engine Journal approaches the question from a practical standpoint this week, looking closer at observable benefits rather than speculating on the conflicting messages Google’s given over the years. Have you read the 2015 Moz Search Engine Ranking Factors survey results we posted last week? It’s a doozy. If not, head over to the ImpactBound blog, where Derrick Weiss has broken down the key takeaways for us. Which hashtags will help elevate your brand, and how do you know they’re worth your time? At AdEspresso this week, Ana Gotter has some tips for creating hashtags to boost social campaigns. What do you know about the Facebook Author tag? At Pagewiz, Elisa Silverman explains the “who, what, how and why” of the feature and its applications for social media marketers. You’ve likely already heard the news, but Instagram advertising is now open to all advertisers. The “seamless” solution is integrated with Facebook and will be available in 30 new markets around the world by the end of the month. Seb Joseph has the story at the Drum. Twitter ads are now available in more than 200 countries and territories, and tighter local targeting capabilities will soon be available to advertisers. Martin Beck has the story this week at Marketing Land. The inclusion of Tweets in Google search results was a big story earlier this year, but now that we’ve had a few months of Tweet indexing, what’s changed for marketers (and businesses)? At Inc.com, Bill Carmody explores the true impact the partnership has had on businesses. Tracking and collecting data is one thing, but compiling reports with clear actionable data is the true value of social analytics. Are your reports giving you the insights you need? If not, take a look at Michael Patterson’s article at KissMetrics this week covering the four social media reports that will help you increase engagement. In digital marketing, there’s always room for improvement; always something that can be tinkered with or optimized. At Social Media Examiner, Ishita Ganguly has six ways you can improve your Facebook posts. “Vanity metrics” are those numbers that seem really great, but don’t actually mean much. However, they can be put to good use, and one of those uses is optimizing your email list. Alex Denning shows us how at BlogBettr. Writing compelling subject lines is perhaps the most important skill an email marketer can possess. Well, it’s at least in the top five. If you’re looking for some subject line inspiration, this post at EmailSunday should do the trick. Twitter is chock full of tools and tricks that you can use to drive email list signups. Chances are, you’re already using it to that end in some way, but Walter Chen has some ideas you may not have tried before over at the Meet Edgar blog this week. 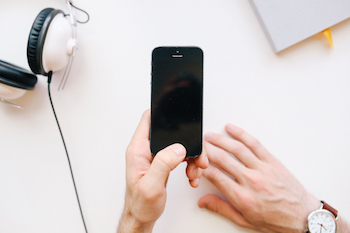 At Yotpo, Shayla Price has a few tips for making more mobile sales happen via social. Learn how to leverage video, customized deals and more to get more mobile shoppers to buy. The focus of a content audit is usually to identify gaps, strengths, and weaknesses of the content found on a website. This is often approached from a marketing or editorial perspective, but an important aspect that should not be overlooked is user experience. This week at the SEO Hacker blog, Pam Sallegue shows us how to perform a content audit to improve user experience. At the GetResponse blog, Karolina Kurcwald has a great post up this week on a topic you may not expect on an email marketing blog: turning negative reviews into positive promotion for your business. Every marketer knows that headlines are incredibly important—possibly the most important element of any blog post. Even the most creative blogger runs out of creative juice sometimes, so if you find yourself in need of inspiration, head over to the SEOPressor5 blog for Ben Seow’s article on crafting compelling headlines. Content marketers find a myriad of tasks on their plates every day, and keeping track of it all requires superior organization (or superior productivity tools). How can you optimize your productivity in such a fast-pace environment? Stefanie Flaxman has some great tips at Copyblogger this week. There are many types of blog posts, and some will be more effective for your brand and your marketing goals than others. At Optinmonster, Kevin Gates has an exhaustive list of every blog post type and its benefits. If you’ve had your eyes peeled for a big-picture overview of local optimization success, then Business 2 Community’s Govind Agarwal has what you’re looking for this week. Building a mobile app is a great opportunity for businesses to more easily capture conversions from mobile shoppers. But is it right for your business? At the ISHIR blog this week you’ll find five compelling reasons for businesses to build an app. If you are launching a mobile app, then this one’s for you. There’s plenty of free advice and how-to’s on the Internet, but knowing what information to avoid is just as important as identifying the good advice. The Key Ideas blog this week posted a great piece on the advice you definitely should not follow when you launch a mobile app. At the Wall Street Journal, Jack Marshall explores Facebook’s new immersive mobile ads, which the social media network is currently testing. As more users (and brands) focus on mobile, it’s important that as marketers we’re able to turn visitors into paying customers. Talia Wolf at The Next Web has some advice for leveraging emotional triggers to get mobile users to convert.